For my son’s sixth birthday, he asked for a superhero party. I am not as conversant in superhero as I am in Star Wars, but I am learning quickly. I was excited that this party could be more focused on the activities since the kids are a bit older now. That meant more interactive project for them, and less prep work for me! 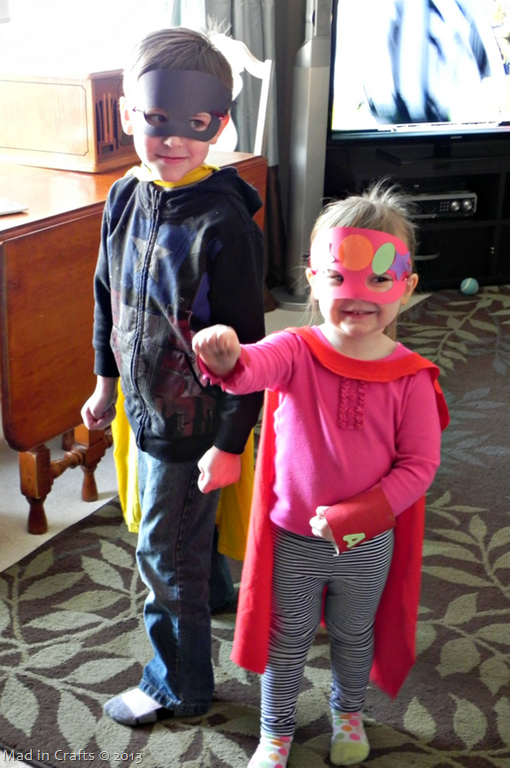 When the little superheroes first arrived at the party, I invited them to create their own “biotech armor” consisting of capes, masks, and wrist cuffs. First they were able to pick out a t-shirt cape to wear. 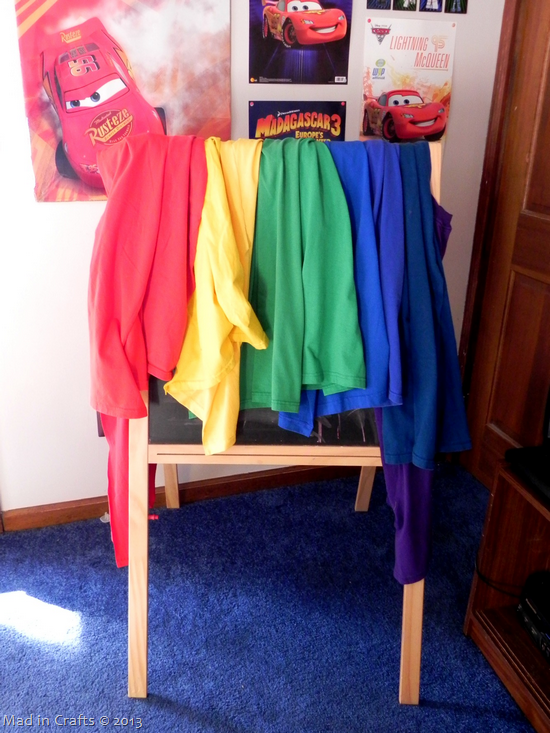 I made an assortment of colors so the kids wouldn’t fight over which they wanted. 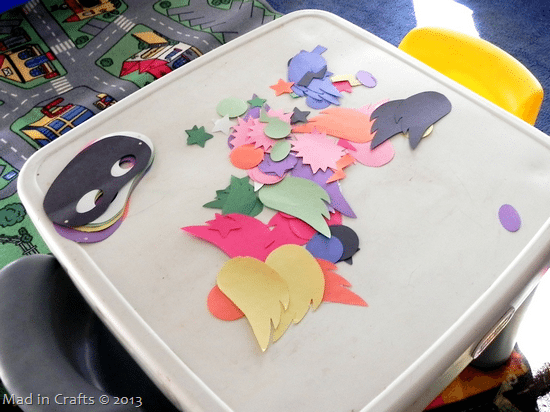 I used my new Silhouette Cameo to cut out superhero masks and embellishments. The kids got to design and make their own masks themselves. Big thank you to my brother and sister-in-law who were visiting from out of state who helped to supervise the mask-making! Yup, you come to visit me, and I put you to work with craft projects. I made up a cut file for the masks and embellishments using a printable pattern from Red Ted Art. You can get the file for the masks HERE and the additional embellishments HERE. 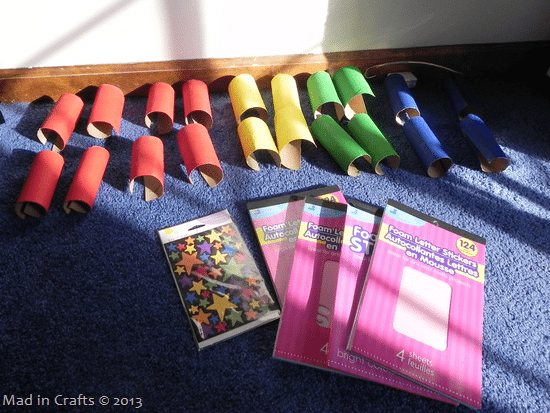 Before the party, I had saved up our TP and paper towel rolls to follow this Superhero Cuff tutorial from Spaceships and Laser Beams. 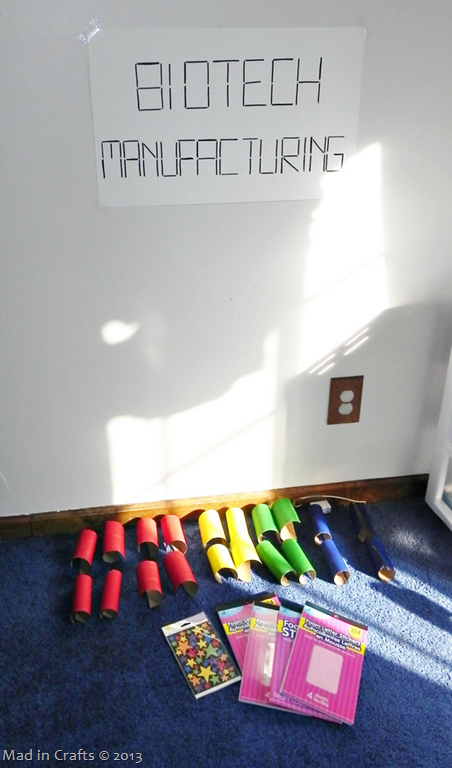 I painted the tubes in superhero colors a few days before the party. 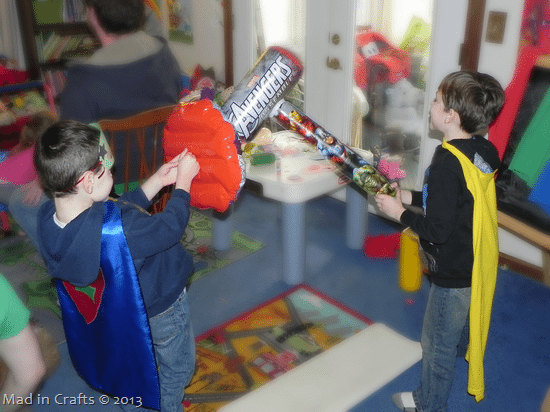 The kids then decorated the tubes with stickers and wore them as superhero cuffs. 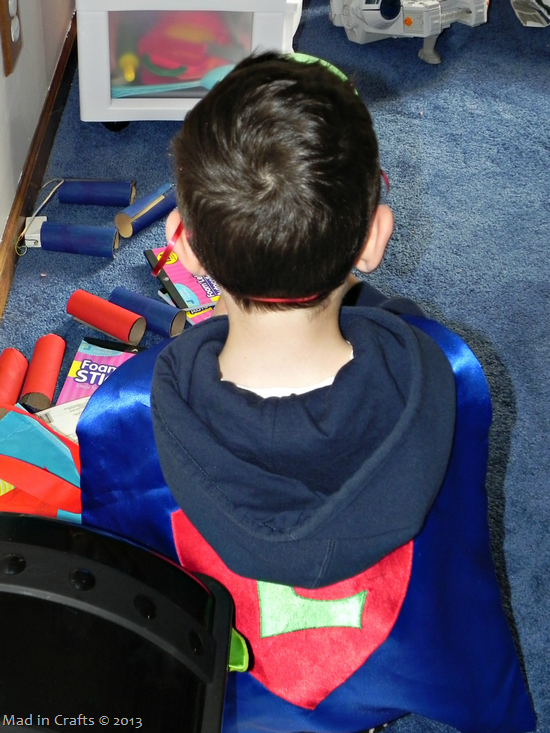 Each kids had a chance to design their own superhero outfit that they could then take home at the end of the party. 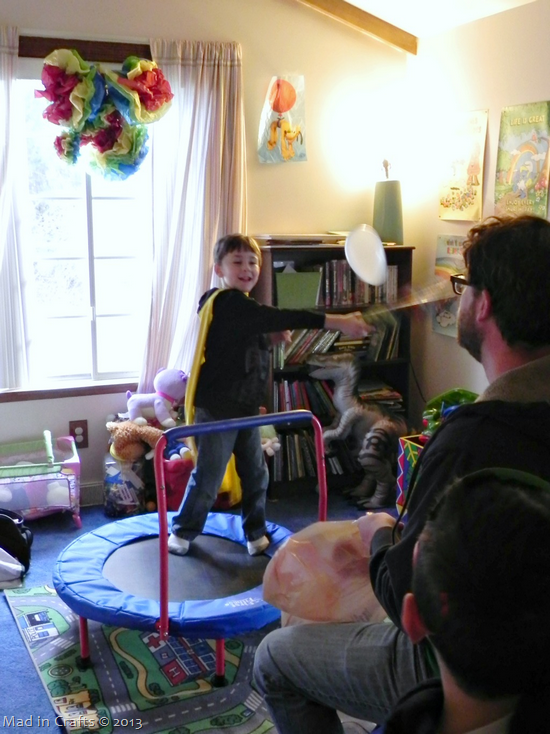 After lunch, we had a superhero training session in the toy room. The kids jumped up and down on the trampoline while my husband tossed balloons at them. They would use their inflatable super weapon to try and block as many balloons away as possible. After that they played a game of “Keep the Balloon Off the Ground” using the inflatable weapons. There was a bit of actual hammer to shield fighting at times too. Because they are 6 year old boys. 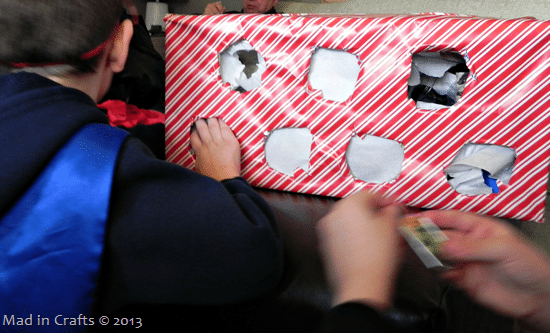 At the end of the party, the kids got their superhero award by punching into prize box I made from an old diaper box, plastic cups and gift wrap. 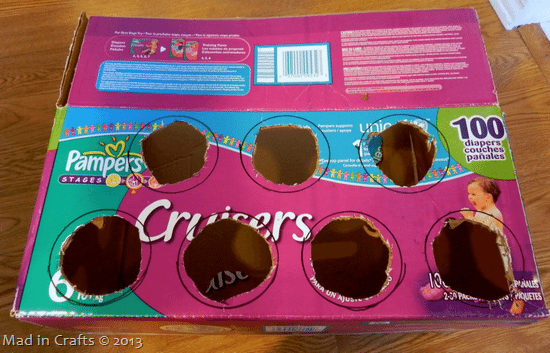 The kids found candy in Avengers containers, superhero dog tags, or key chains in the punch holes. 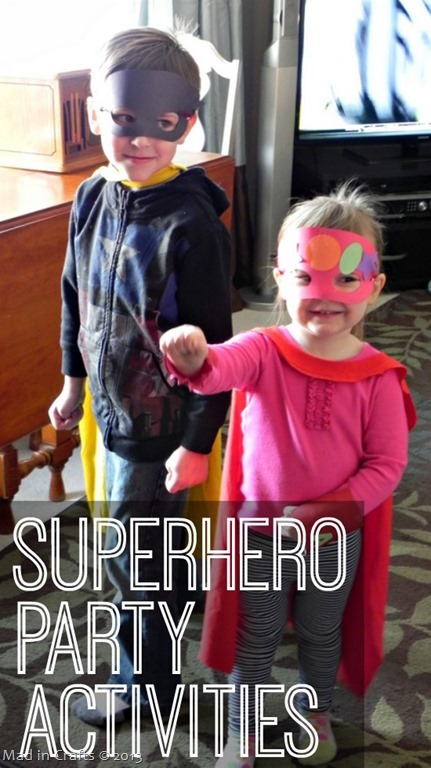 Most of the materials for these superhero party activities were things I already had in the house or found at the dollar store. You don’t have to have to spend a bundle trying to entertain those little bundles of energy!